Last month our company was going to a conference in Las Vegas. As per usual, when I book a trip on the company dime, I (at the very least) search for an Expedia coupon code or two to cut down on business expenses (do you know what a table rental at a conference costs?!!!). I went to Offers.com, which also showed me a cool Expedia rewards credit card that I could qualify for. I think it was on a list of easy credit cards to get approved for. Thanks to my launch and crash of my previous business, my credit rating was less than ideal. Such is the life of an entrepreneur. Without a credit card, I wasn’t able to do things like hire designers to create cheap logos for my next venture! When I got the card in the mail, it turned out to be pretty cool: the rewards have added up pretty darn fast already, and I project that in one year I’ll have enough reward points to take the next flight to Las Vegas for free. Whoop! In today’s world, cash and credit are more difficult to obtain for regular people, yet our expenses seem to keep increasing. Thank goodness for those great reward credit cards! 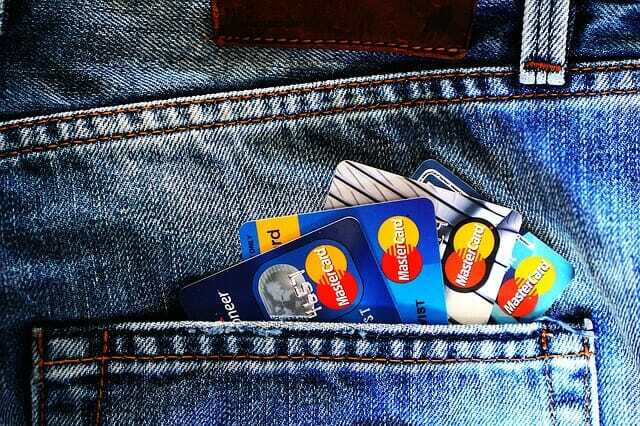 These programs offered by many major credit card companies allow you to accrue points or cash for every dollar you spend using their credit cards. If you have to buy gas for your car, why not get something back for the purchase? Credit card companies are being more selective with whom they offer their cards to, nevertheless, with so many choices available for consumers, card issuers have had to become more resourceful to remain competitive. What are some of the available options? Citi Financial’s “Thank you” program is one of the largest rewards programs based on the large number of reward items available to customers. It’s aligned with Expedia.com for travel and Amazon.com for retail options. The program keeps track of your accumulated reward points and allows you to interface with merchants online to redeem your points for merchandise. Citi Financial has recently extended their rewards program to allow points to be used towards paying credit card bills, student loans or mortgage principal even if you have another mortgage lender. Bank of America’s “Add it up” program features an agreement with a number of traditional and online retailers to provide cash refunds for purchases made through the rewards program. In some instances customers may qualify for up to 20 percent back on purchases. That’s in addition to earning traditional rewards points. The cash rewards can be deposited directly into a checking account. The American Express Membership Rewards program catalogue has always been famous for its glamour and flair. Some of the more unusual items that can be purchased with reward points include a tandem skydiving jump or a lease for a Lamborghini sports car. Fortunately AmEx also offers many more practical items such as gas cards and dining cards at many casual restaurants such as Red Lobster and Olive Garden. More, now than ever, card issuers seem to be emphasizing practical rewards that are relevant to people’s everyday lifestyle. Capital One Bank has added a charitable option to their rewards program entitled “No Hassle Giving”. Rewards cardholders can donate their reward points to any 501 (3)© charity organization in the country and receive a tax deduction while doing so. Capital One will even waive the transaction costs. Wells Fargo Bank has sweetened its rewards program by increasing customer flexibility and eliminating inconveniences associated with the rewards programs of competing card issuers. For example, reward card members can earn a full 1 percent with no cap, expiration date or annual fee. The reward points can be used to pay down loans, credit card debt or even mortgage principal. In a unique twist, Wells Fargo allows you to use points to purchase renewable energy certificates to offset the production of carbon-based fuels. With so many options available it makes little sense to use a credit card that fails to compensate you in some fashion. Assuming you consistently pay off your monthly balance and pay no interest penalties, a rewards program credit card can be an attractive way to pay expenses and be rewarded with practical merchandise or cash at the same time. On second thought maybe I’ll use my reward points for that tandem skydiving jump after all.